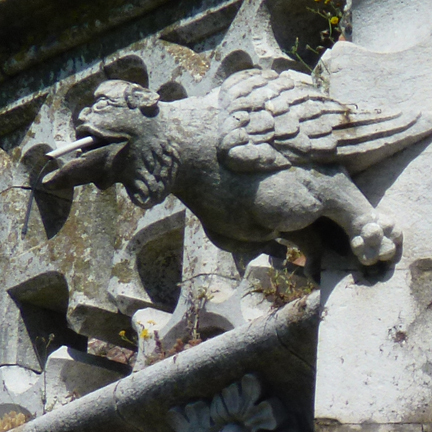 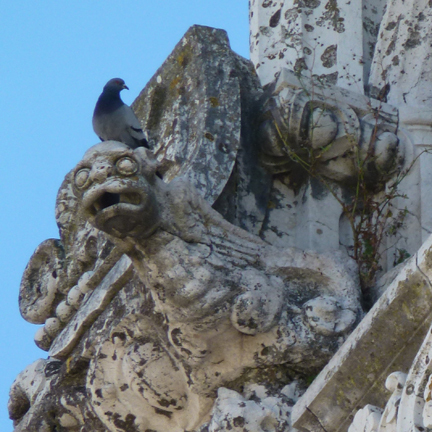 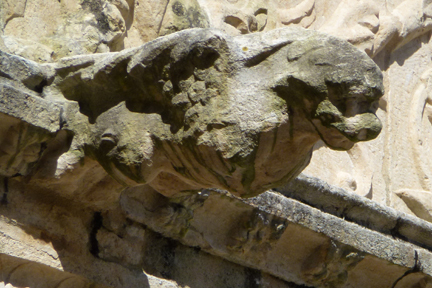 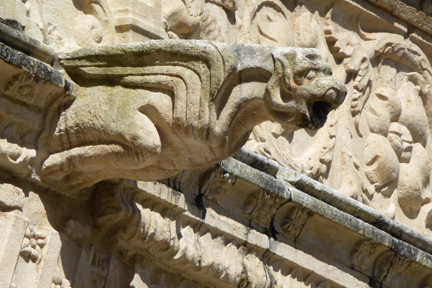 Last month I completed revisions on the second Jaya Jones Treasure Hunt Mystery, Pirate Vishnu, and I've just returned from a trip to Portugal and England, so I have no excuse for not posting some new gargoyle photos! 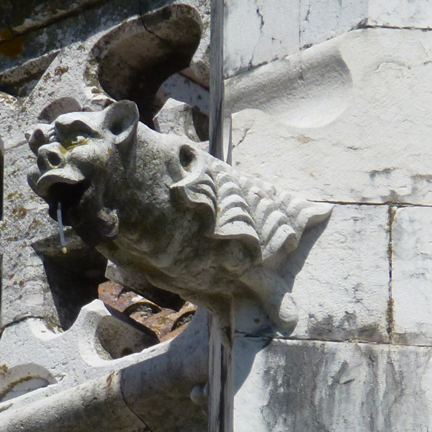 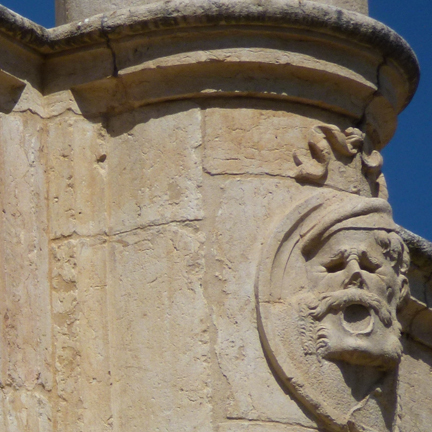 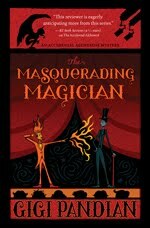 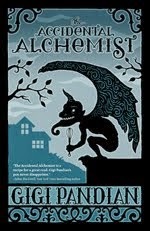 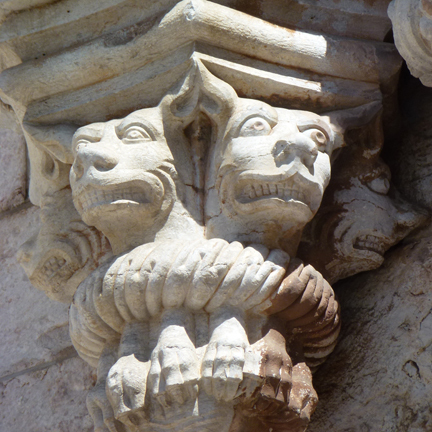 This summer I'll be posting photos of gargoyles, castles, and other mysterious sights from this trip. 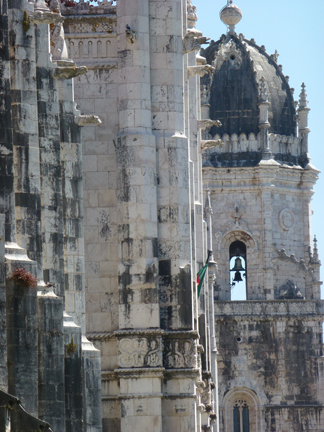 Portugal has some gorgeous architecture. 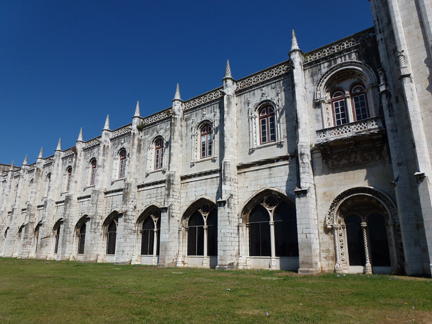 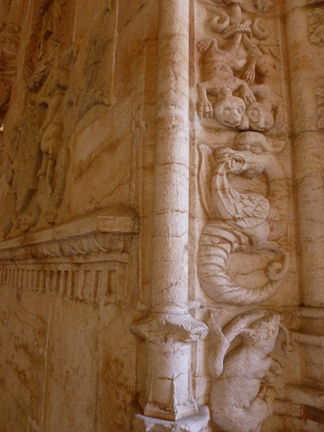 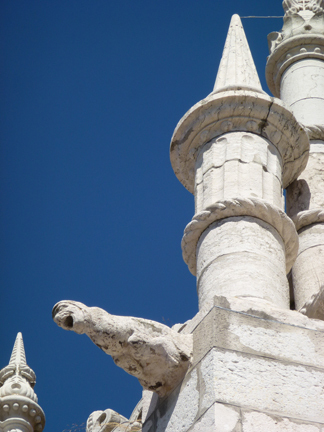 Below are photos from Lisbon's Jerónimos Monastery, in the neighborhood of Belem. 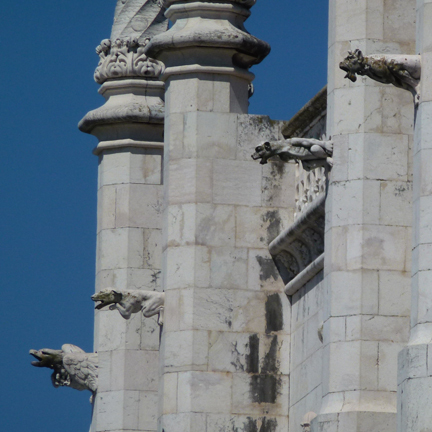 The current structure was built in the 1500s. 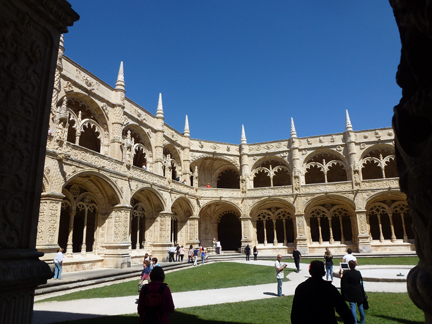 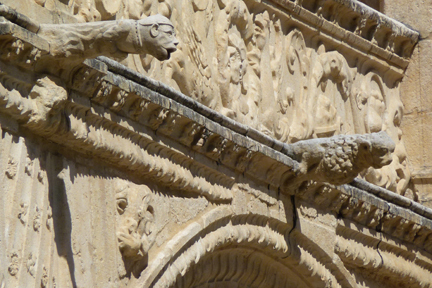 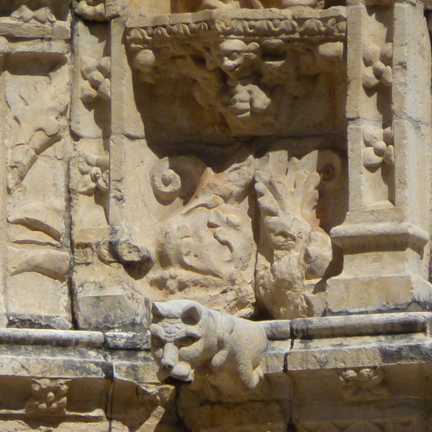 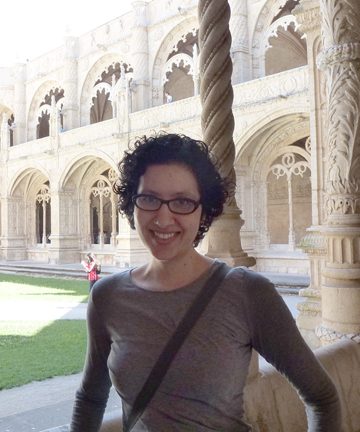 The architecture is Manueline, aka Portuguese Late Gothic. 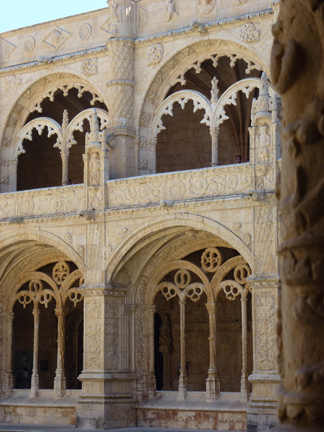 It's an ornate style that was paid for by Portugal's lucrative spice trade with India and influenced by Portuguese explorers' maritime travels.